Here are some facts about Louis Sachar, the famous children’s author. 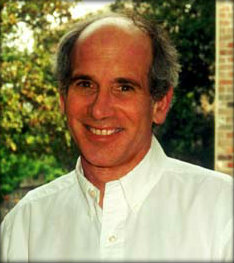 Louis Sachar was born on 20th March 1954 in East Meadow, New York. He went to Antioch College and the University of California, Berkeley. After graduating in 1976, Louis began working in a sweater warehouse during the day and writing his children’s book, Sideways Stories From Wayside School, at night. Louis decided to study the law, and in the 1980s he did part-time legal work as well as continuing to write books for children. In 1989 he became a full-time writer. He is married to Carla Askew, and they have a daughter called Sherre. Louis Sachar’s best known book is called Holes. It won the 1999 Newbery Medal, and it was made into a film in 2003. Small Steps, published in 2006, continues some of the story lines started in Holes. He writes for about two hours every day. He enjoys playing bridge (which is makes an appearance in Sachar’s book called The Cardturner), skiing and going for walks with his dog. Some of his favourite authors are: E. B. White, Margaret Atwood, E.L. Doctorow and J.D. Salinger. He had a dog called Watson. Holes has sold more than 8 million copies. What next? Discover some facts about other children’s authors. This site really helped me for writing my biography on Louis Sachar. I love this website it helped me a great deal thanks! This site was very helpful would recommend this to anyone! P.s I used this for my homework. this website is very useful! P.S I used it for my homework! this was really helpful thankyou!i used this for my homework too! HELPED me amazingly for my homework on Louis sachar! Thank you v v much. No problem, Dan! Thanks for using Primary Facts. I love this website recommend it to all!!!!! This is very useful and simple to read. Omg that’s such a good book I had to read that at school and yh thanks primary facts ! Thanks! This site helped me out a lot. Recommending it to everyone I know. How many books did Dr Seuss write?